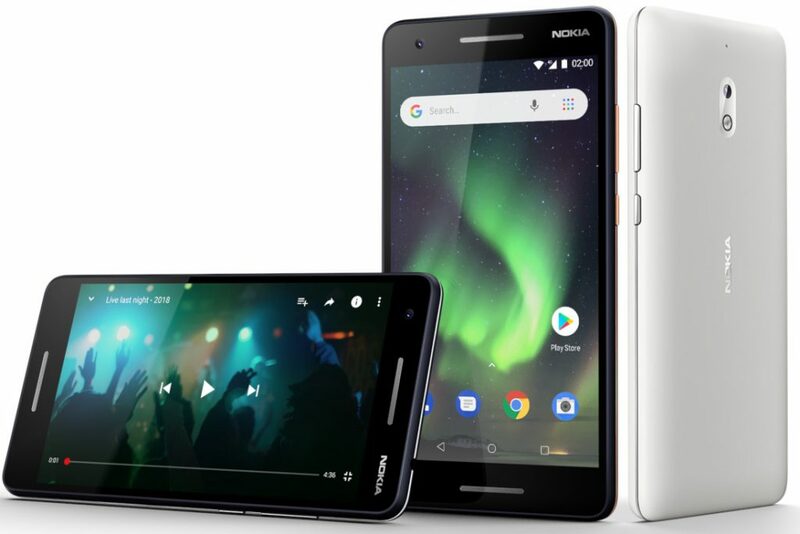 HMD Global today launched Nokia 2.1, 3GB variant of Nokia 3.1, and Nokia 5.1 in India. The Nokia 3.1 and Nokia 5.1 have 18:9 displays and are part of Google’s Android One program while the Nokia 2.1 sports a 16:9 display and runs Android 8.1 Oreo Go edition. 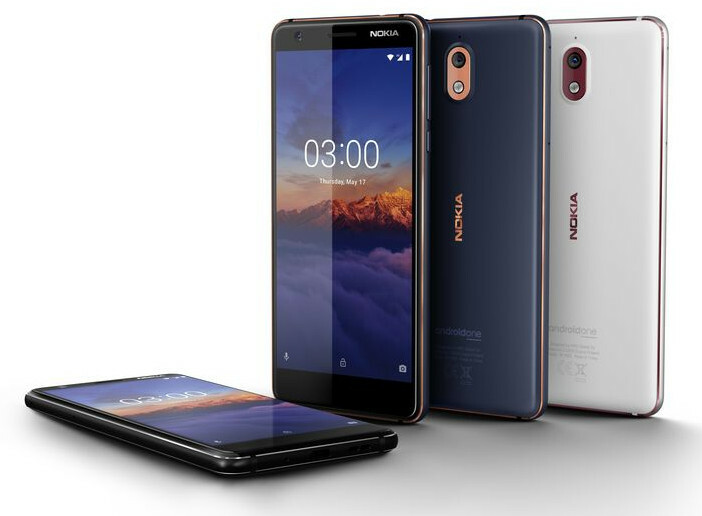 The Nokia 2.1, Nokia 3.1, and Nokia 5.1 are the successors to last year’s Nokia 2, Nokia 3, and Nokia 5. The new Nokia phones were first unveiled globally in May this year. HMD Global had already launched a 2GB RAM variant of the Nokia 3.1 in India last month. The Nokia 2.1 is priced at Rs. 6,999 and comes in in Blue/Copper, Blue/Silver, and Gray/Silver colors. 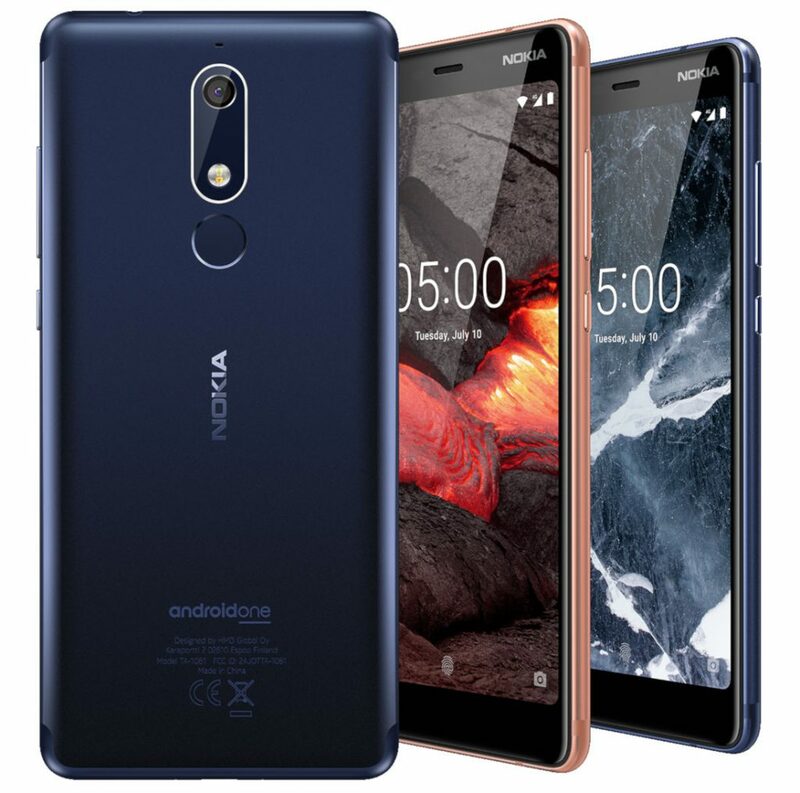 The Nokia 3.1 3GB RAM variant costs Rs. 11,999 and comes in Blue/Copper, Black/Chrome, and White/Iron colors. Lastly, the Nokia 5.1 costs Rs. 14,499 and comes in Copper, Tempered Blue, and Black colors. All the new Nokia smartphones will be available from August 12 via offline retail stores and online through Paytm Mall and Nokia online store. Launch offers for all the three smartphones include- 10 percent cashback on bill payments and recharge on Paytm if the purchase is made via Paytm Mall QR code. ICICI credit and debit cards members can get 5 percent cashback on buying Nokia 3.1 or Nokia 5.1. The company is also offering bundled offers for Idea and Vodafone customers. The Nokia 2.1 sports a 5.5-inch HD (1280 x 720 pixels) HD display. It is powered by a Snapdragon 425 processor with Adreno 308 GPU, 1GB RAM, and 8GB internal memory which is expandable up to 128GB with microSD. The dual SIM phone runs Android 8.1 Oreo Go Edition and is also upgradable to Android P.
In terms of camera, it has an 8MP autofocus rear camera with LED Flash and a 5MP front-facing camera. For connectivity, it has 4G VoLTE, Wi-Fi 802.11 b/g/n, Bluetooth 4.1, GPS + GLONASS. It also sports 3.5mm audio jack, FM Radio, and  Dual speakers. The device packs a 4100mAh battery. The Nokia 3.1 sports a 5.2-inch HD+ (720 x 1440 pixels) 2.5D curved glass display with Corning Gorilla Glass protection. Under the hood, it has Octa-Core MediaTek MT6750N processor with Mali T860 GPU, 2GB/3GB RAM, and 16GB/32GB internal storage. It also runs Android 8.0 Oreo and is upgradable to Android P.
For imaging, it has a 13MP rear camera with f/2.0 aperture, LED Flash and an 8MP front-facing camera with f/2.0 aperture, 84.6-degree wide-angle lens. The Dual SIM phone has 4G VoLTE, WiFi 802.11 a/b/g/n, Bluetooth 4.1 LE, GPS connectivity features. It is powered by a 2990mAh battery. 2GB/3GB RAM, and 16GB/32GB internal storage which is expandable up to 128GB. The smartphone runs Android 8.0 Oreo and is upgradable to Android 9.0 Pie. In the camera department, it has a 16MP rear camera with f/2.0 aperture, PDAF and LED flash. There is an 8MP front-facing camera with f/2.0 aperture and 84-degree wide-angle lens. The Dual SIM phone has several connectivity options like 4G VoLTE, WiFi 802.11 a/b/g/n, Bluetooth 4.2, and GPS. It also has a 3.5mm audio jack, FM Radio, and a Fingerprint sensor. The device is powered by a 3000mAh battery. All the three smartphones will be available from August 12. Meanwhile, the company is expected to launch the Nokia 6.1 Plus aka Nokia X6 global version or Nokia 5.1 Plus in India at an event scheduled for August 21.